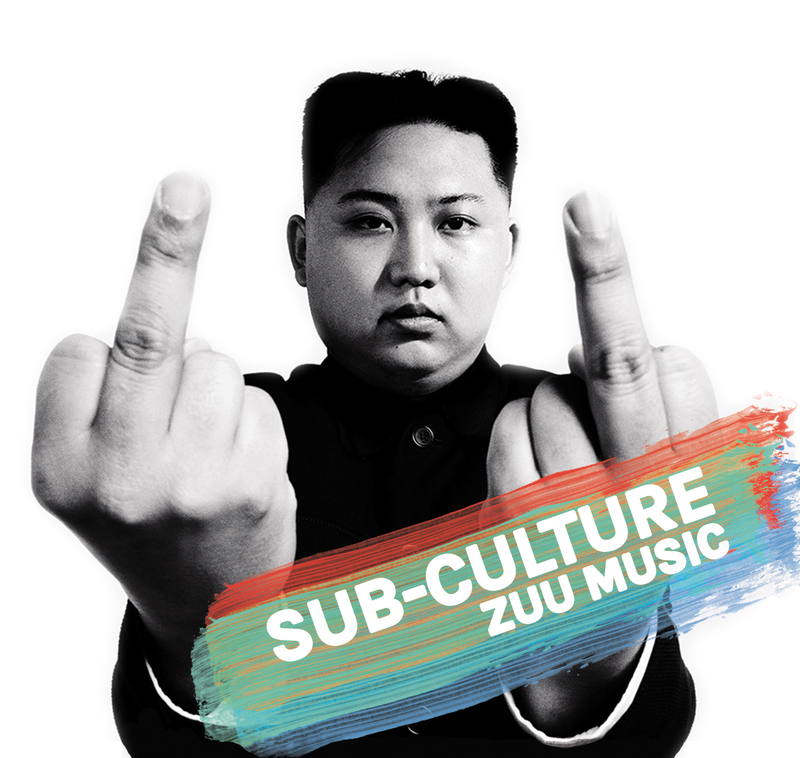 A few weeks back I was brought to the attention of ZUU Music- an inventive contemporary example of 21st century musical convergence. While you can immediately notice the drum and bass influences, as you get to grips with their debut EP, you notice that it is a lot less straightforward than that. Featuring two drummers, two guitarists, a pianist, a saxophone player and an MC, all have been brought together by curator Robb Dixon, resulting in more of a dnb-inspired collective featuring 100% live instruments. It’s been a while since ‘live’ dnb has been a big thing, with most artists opting for DJ sets or by simply using Serato consoles or whatever, but since the likes of Roni Size Reprezent and more recently Pendulum, we simply don’t see it anymore, putting ZUU Music at the forefront of this renaissance. From the off, Subculture is noticeably intuitive, more specifically track 2; Nothin’ But Fix. Featuring big claps of percussion and probing wobs of bass, the underlying brass weaves its way in and out of the foreground, all then gives way, leaving the sax to commandeer and take over with a sultry solo. Things get noticeably ‘rockier’ with Boom-Trip, a drum-heavy, Prodigy–synth toting jam, featuring Action Bronson style delivery to break up the track. Strings come into play around the 2/3 mark, and again give way to let the track cool a bit, with the bass and percussion staying under control for a noticeably restrained outro. The debut EP from ZUU Music is a refreshing take on dnb. With the genre making a stellar comeback to the mainstream, acts now have to stick out with real inventiveness to make an impression. ZUU Music is a worthy example of this- creative, complex and brimmed with character. While the project can in a couple of occasions feel a bit stop-start, with not quite the ‘oomph’ delivered from a full live band, Subculture is an EP I can still really put my seal of approval on.